I went to Germany with some friends and colleagues at the invitation of Bredent UK, the UK arm of the Bredent Germany company. Bredent is a medical and dental supply company and manufacturer. 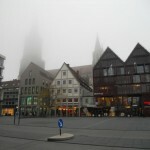 The trip was well organised and our hosts both the UK side and Germans were very frindly and hospitable. It seemed that all the attendees had a good time and enjoyed the trip. The purpose of the trip was to be exposed to the Sky Implants Fast and Fixed method of providing patients with fixed teeth in a day which are supported by usually 6 implants in the upper jaw and 4 in the lower. The first day was at the extremely impressive OPUS DC clinic of Dr Michael Weiss at Ulm, a city which is in South Germany equidistant from Stuttgart and Munich where we flew in. 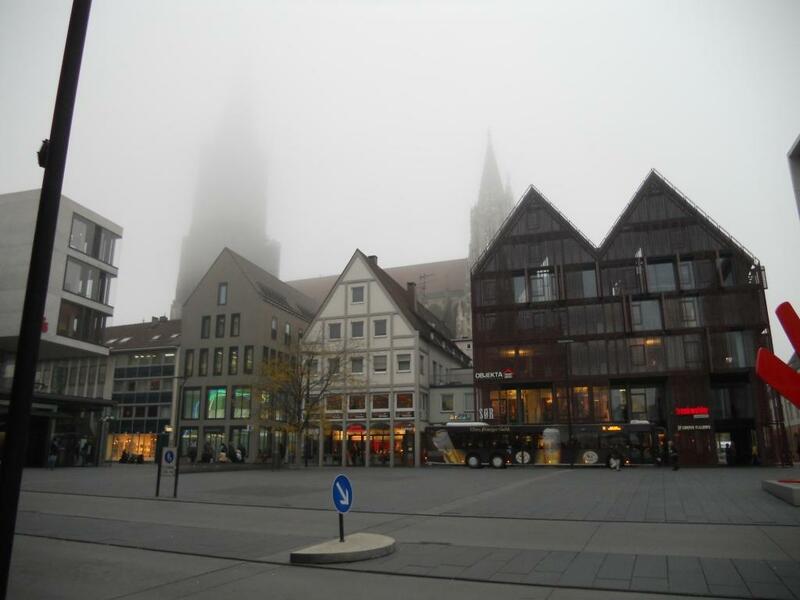 Ulm by the way is the birthplace of Albert Einstein and the Cathedral boasts the highrst steeple in the world, although at the time of our trip ( November 13 to 15th) it was shrouded in fog. Michael took us through some of the theory and practice of the same day teeth concept and then carried out a live surgery on a patient which we viewed in the surgery but also in the lecture theatre with a AV hook up. The patient came in with no teeth at the bottom and left a few hours later with a fixed provisional bridge seated on four implants. The Fast and fixed concept aims to provide the patient with fixed teeth in a day. The concept tries to avoid the need for long treatment times, multiple surgery, bone grafting, nerve lateralisations etc and so is very popular with patients. Of course the cost to patients is also reduced with great benefit to patients and this makes the technique available to many more patients than can afford the classical methods of reconstructing a dentition. The second day was at Bredent HQ in Senden, 20 minutes from Ulm and we spent useful time on practical excercises and getting to know more about the company. It was a very useful and enjoyable trip which we all seemed to enjoy. It was very well organised and everything went to plan as is usually the case with German hosts. I hope that you will enjoy some of the photos of my visit.